You have left the pages of North East Times, September 2018 – New Name, Same Approach. If you would like more information about which areas of Perspective's website contain regulated content and about these notifications, please click here. 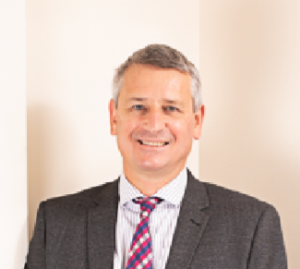 Despite Rutherford Wilkinson’s name changing, managing director Ian Wilkinson is committed to ensuring its ethos and dedication to clients will remain a constant. Deborah Busby meets the man juggling the dual task of growing Perspective Financial Group at both a regional and national level. While Perspective North East may, for many people, appear to be a new name to enter the region’s professional services market, it is, in fact, more familiar than first impressions may suggest. For Perspective is the new brand for Rutherford Wilkinson, the highly respected financial planners who have become trusted advisors to countless individuals and businesses over the past three decades. Interestingly, Perspective Financial Group acquired its North East interest 10 years ago, with some aspects of dual branding being introduced ever since, but it is only in May this year the full rebrand exercise took effect. Despite the new name and the change in identity, it is very much business as usual for the Seaton Burn-based firm, and its clients, with the same unrivalled levels of personal service and bespoke advice that came as standard with Rutherford Wilkinson – one of the first advisory firms in the UK to be awarded Corporate Chartered Status in 2009 – continuing under its new brand. While perhaps not widely known in the North East, Perspective is a hugely significant player in the national financial services market. 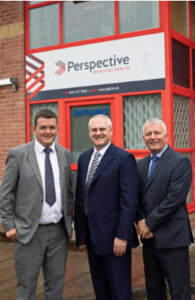 One of the largest privately owned independent financial advisors (IFAs) in the UK with 14 offices and thousands of sought-after clients, Perspective was ranked 22nd in the most recent Financial Times Top 100 Financial Advisors annual league table. Fast growing, it acquired 36 businesses across the UK between 2008 and 2012 – including Rutherford Wilkinson – and intends to replicate a similarly ambitious acquisition strategy in the next four years. Indeed, the business is open in its desire to add further to its portfolio, with a target of acquiring five or six businesses in the North East, alongside adding new advisors to its team to help keep pace with its growth. 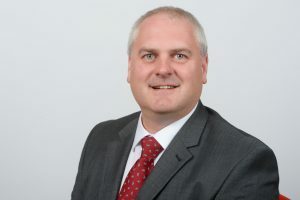 Ian Wilkinson, whose father Mitch founded Wilkinson Hatton in 1985 – which then merged with Rutherford Financial Management in 2002 to give the business its more recent identity – is at the helm not just of the North East office, but has also taken a role on the board of Perspective nationally. As group practice director for Perspective, based in Wilmslow, Cheshire, as well as managing director of Perspective North East, it is fair to say he has his hands full. The team is something Ian is rightly proud of. 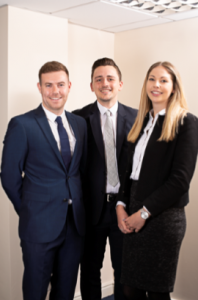 With four Chartered financial advisors in its ranks – all of whom are Chartered Fellows, the highest level of qualification possible – alongside an array of other leading names in the financial services field, it boasts one of the most capable and experienced teams in the region. Recent key appointments include Charles Penn as its head of marketing and business development. Significantly, Perspective is investing in young talent from the region, and currently has four fully qualified trainee advisors who have been on the firm’s in-house training programme for the past two years, helping them to intricately understand the business and its expectation levels for service delivery and client focus. With best practice being symptomatic of the Rutherford Wilkinson name, and its brand becoming known and trusted within its home region, were there any worries over adverse reaction to its rebrand? Ian says not, though he does confess that on a personal level its effects were felt. “I didn’t give the decision to rebrand to Perspective a second thought until one evening earlier this year when I mentioned it to my wife and two daughters. Their reaction was ‘so the business is no longer going to be named after you? It’s the end of an era’. “I think the time I felt it most was for the first six months post acquisition, I must confess I found that a little difficult,” says Ian. “In practice, though, it’s just a name. We are building the brand of Perspective rather than Rutherford Wilkinson and nothing else changes. There has been no reaction from clients that I am aware of, they have been aware of us being owned by Perspective since 2008.